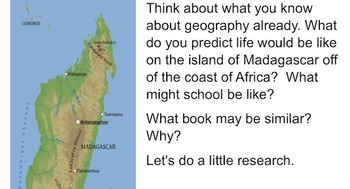 Essential Question: How does geography and location in the world affect how people access education and books? 4-8 day mini-research project intended to review literature read in Unit 1 ELA module (Nasreen's Secret School, Rain School, and That Book Woman). Students research 1 of 3 countries (Afghanistan, Chad, and USA, Appalachian Mountains) focusing on geography. 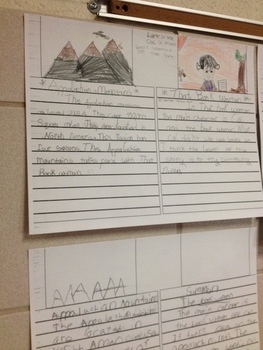 Final project includes an informational paragraph about the geography of the country and a summary of the book read. This resource can be a review of Unit 1 and can also stand alone as a mini-research project focusing on geography and how that impacts setting and problems within literature. SmartBoard lesson and written lesson plan complete with student notes, graphic organizers, and final copy paper.